The Beastmaster DX feeder range has been designed to offer outstanding performance across all feeder disciplines. Built using HPC60+ Biofibre blanks and a new design concept, all the rods in the range have fantastic fish playing actions. All Beastmaster DX feeder rods are fitted with Shimano ultra tough Hardlite guides enabling braided main line to be used without fear. The Beastmaster DX range is slim, lightweight and extremely responsive, making it perfect for top match anglers who want the best actions available. With a variety of rods in the range, all with contrasting actions, there is a rod available to cover almost all feeder fishing requirements. 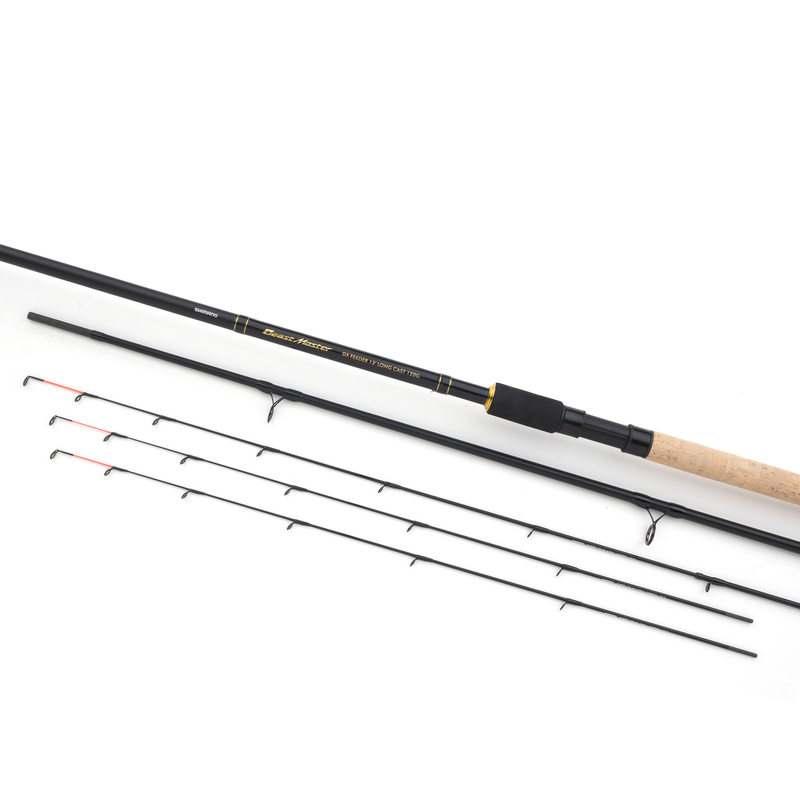 Each rod is supplied with three quiver tips balanced to the action of the rod.